A research effort at Winship Cancer Institute recently identified a substance in orange lichen and rhubarb that has the potential to be used as a new anti-cancer drug. The substance, an orange pigment known as parietin or physcion, slows the growth and can even kill leukemia cells harvested from patients, without obvious toxic effects on human cells, the study authors report. The work is the result of a project between three laboratories at Whinship, led by Chen, assistant professor of hematology and medical ontology Sumin Kang, PhD and Jun Fan, PhD, assistant professor of radiation oncology. Co-first authors are postdoctoral fellows Ruiting Lin, PhD, and Changliang Shan, PhD, and former graduate student Shannon Elf, PhD, now at Harvard. The results of their work are scheduled for publication in the October 19 edition of Nature Cell Biology. 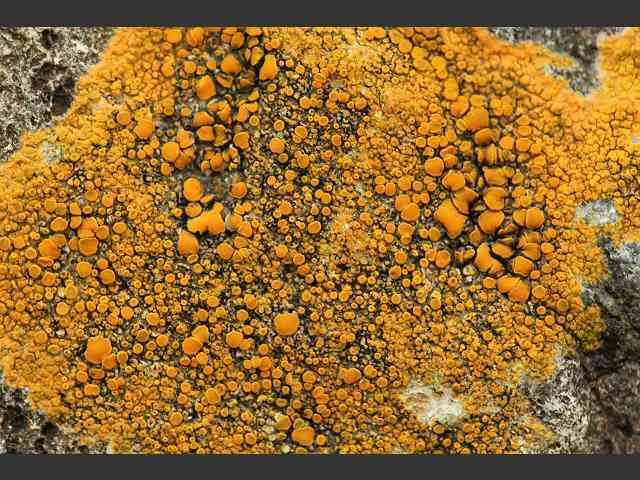 Parietin is a dominant pigment in Caloplaca lichens. Winship Cancer Institute researchers have shown that it also has anticancer activity. The team, led by Jing Chen PhD, was looking for a way to inhibit the metabolic enzyme 6PGD (6-phosphogluconnate dehydrogenase). It’s part of the pentose phosphate pathway, and has a part to play in the synthetisation of aromatic amino acids, nucleotids and fatty acids. In rapid-growing cells, such as those in cancerous tissue, these cellular building blocks are needed in an even greater supply, and 6PGD enzyme activity increased in several types of cancer cells. But parietin works remarkably well when used against these tissues: not only can the pigment hinder and even kill leukemia cells, but could also inhibit the growth of human cancer cell lines derived from lung and head and neck tumors when grafted into mice. The laboratories harvested cancer cells from a patient suffering from acute lymphoblastic leukemia. They grew several cultures with these, then tested for and found the dosage required to kill half of the cells in a culture within 48 hours, while leaving healthy blood cells unaffected. One derivative of the pigment, S3, showed even more promising results — when tested on tissue implanted in mice, it cut the growth of a lung cancer cell line by a factor of three in 11 days. However, even if 6PGB inhibitors do not appear to be toxic to healthy cells in any way, the team advocates that more toxicology research is needed — both to asses potential side effects and to find if certain conditions can make patients’ cells vulnerable to the pigment. While present in some natural food pigments, parietin has not been tested as a drug in humans.